The legendary singer Susan Boyle returns to the spotlight and she is better than ever. What a comeback by a former reality singing show contestant. Talk of the town at the moment; that is Susan Boyle. In case you are late to the party and totally unaware of what's going on? Who this Susan Boyle is, why everyone is talking about her? Then sit down with a cuppa hot tea and tune in to this article. The other night at one of the successful singing competition shows i.e. America's Got Talent, the judges and the audiences witnessed something they never witnessed before. 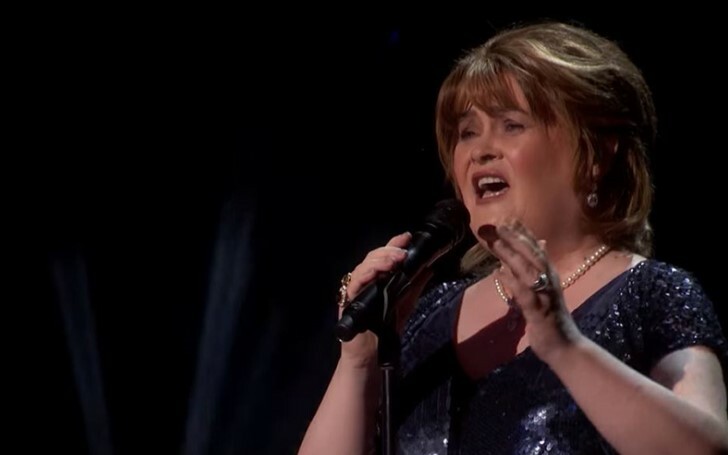 When an ordinary looking middle woman aka Susan Boyle appeared shunned in a black shimmering gown on the big stage of America's Got Talent and put the microphone over her mouth to perform Wild Horses by The Rolling Stone, she sang it so brilliantly that everyone genuinely applauded her performance. Boyle's angelic voice and singing shook everyone. As a matter of fact, before she even finished her performance, the lady started receiving a round of applause from all corners of the hall. The story doesn't end here. Furthermore, the judges Simon Cowell, Heidi Klum, Mel B, and Howie Mande, also became so moved with her performance that they decided to slam the golden buzzer. Obviously, with the overwhelming response from everyone and, as one of the judges (Mel B) embraced her on the stage, Susan got teary. "What an absolute honor and pleasure it is to be sitting here and listening to you (and) your angelic voice. I want to be the woman who gives you something you deserve." "I can't think of any other contestant who has defined this show better than you." 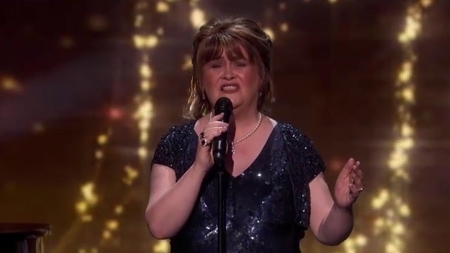 This is Susan Boyle's come back on Television singing competition after nearly a decade. The Scottish singer previously auditioned on Britain's Got Talent, where she came in runner up position. "A champion for those who maybe don’t have the confidence to do things, for those who don’t have a voice, the ones who people tend to ignore…"
More power to Susan Boyle. What an inspiring woman.